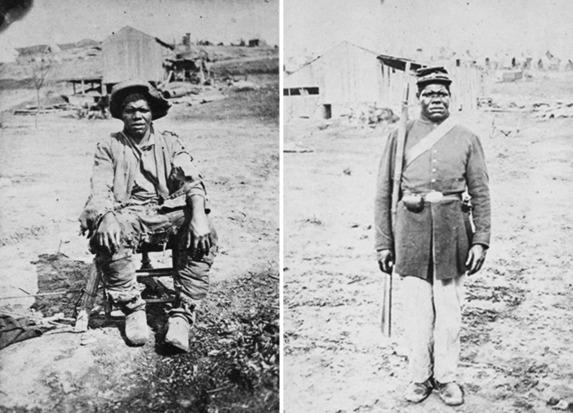 This Civil War photograph shows Private Hubbard Pryor, an escaped slave from Georgia, before and after his enlistment in the 44th U.S. Colored Troops, a Union Army regiment of African-American soldiers. 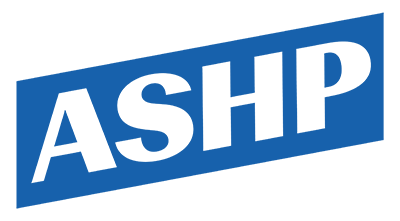 Congress passed legislation allowing some African Americans to serve in the Union Army in August 1862, and when Lincoln announced the Emancipation Proclamation on January 1, 1863, he extended the recruitment of black soldiers nationwide. By war's end, almost 200,000 African-American men served in the Union forces. Source | "Photograph of Private Hubbard Pryor before enlistment in U.S. Colored Troops 10/10/1864," black and white photograph, National Archives, http://www.archives.gov/nhprc/annotation/june-98/history-emancipation.html. Cite This document | War Department, “Before-and-After Photograph of an African-American Union Recruit,” HERB: Resources for Teachers, accessed April 23, 2019, https://herb.ashp.cuny.edu/items/show/1065.